Seiyuu Yoshimasa Hosoya has announced via the A&G+ Radio show Tensai Gunshi on Sunday that he is officially back from a three month break. Being on the radio show was his first voice acting job since returning. The seiyuu's official website has also removed the note stating his break. 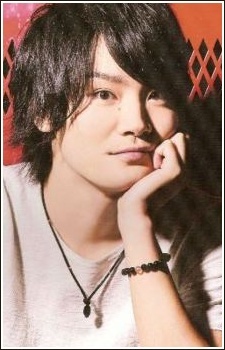 Although not getting replaced in any of his anime roles, some of his game roles were substituted during his absence. Hosoya voiced Yukimura Sanada in the game Ikemen Sengoku◆Toki wo Kakeru Koi, but was later replaced by Kensho Ono, as well as in the currently airing short anime adaptation. Additionally, Tomoaki Maeno replaced him for the role of Hokuto Hidaka from the game Ensemble Stars!. It is not clear if the upcoming anime is going to be affected as well. Hosoya has the new role of Gigina Jerde Dolk Melios Ashley Boeuf from Saredo Tsumibito wa Ryuu to Odoru: Dances with the Dragons, which is slated for Fall 2017. Hell Yeah! All the voice actors who were in hiatus are returning little by little. There's still Eir Aoi :/ well she's not a VA but her songs are great . Oh, yes, I forgot about her :( Hopefully she will recover soon too. Welcome back. I want to hear more of his voice now. Welcome back pup! Have the anime with his new role for ptw. Looking forward to hearing him in Saredo. That was really fast! I hope he has fully recovered. WELCOME BACK! <3 <3 I'm so happy for you, Hosoyan. "No senpai, this is our return!!" I actually forgot he was taking a break. Nice to see him come back, his break was really short.